On the 13th of April, I had the misfortune of attending a book signing at Book People in Austin, Texas, with Lemony Snicket. Those of you who read his horrible books will know what a terrible evening this must have been. Believe it or not, there were little children in attendance. The children’s cruel parents were forcing them to read Mr. Snicket’s books. Okay, enough of my trying to write like Lemony Snicket. Let’s face it – the guy is the Edward Gorey of our time. 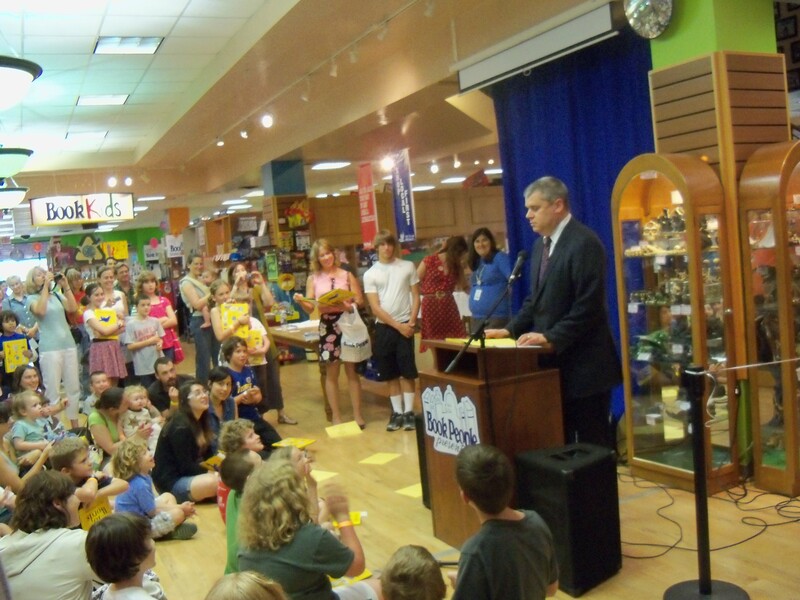 Daniel Handler, Lemony Snicket's representative, informed the crowd that Mr. Snicket would not make an appearance. In addition to myself, a handful of goths and 200 children were eager to meet Lemony Snicket, who is the alter ego of Daniel Handler. Of course, Mr. Handler said that Mr. Snicket would not be appearing at the book signing, but it was clear to even the smallest child that we were in the presence of the mysterious author himself. 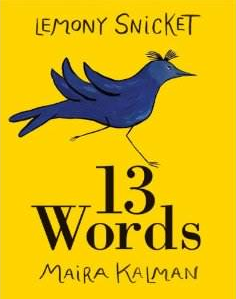 His new book is called 13 Words, and is a picture book. 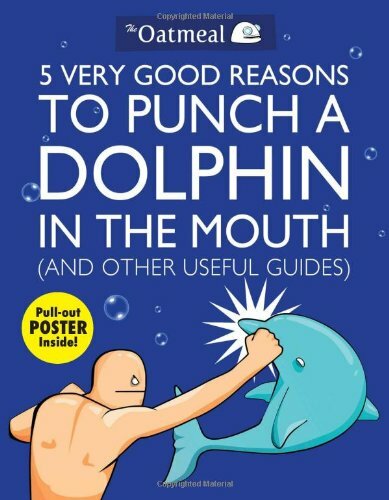 In case you feel you’re too old for a picture book, keep this in mind – Daniel Handler isn’t too old for a picture book. Mr. Handler warned us all not to read any of the Lemony Snicket books. He asked to see a little boy’s book, and then wouldn’t give it back. As he was leaving to go up and sign books, he pretended he was going to hand the book to the child, did a fake-out and then ran up the stairs giggling. 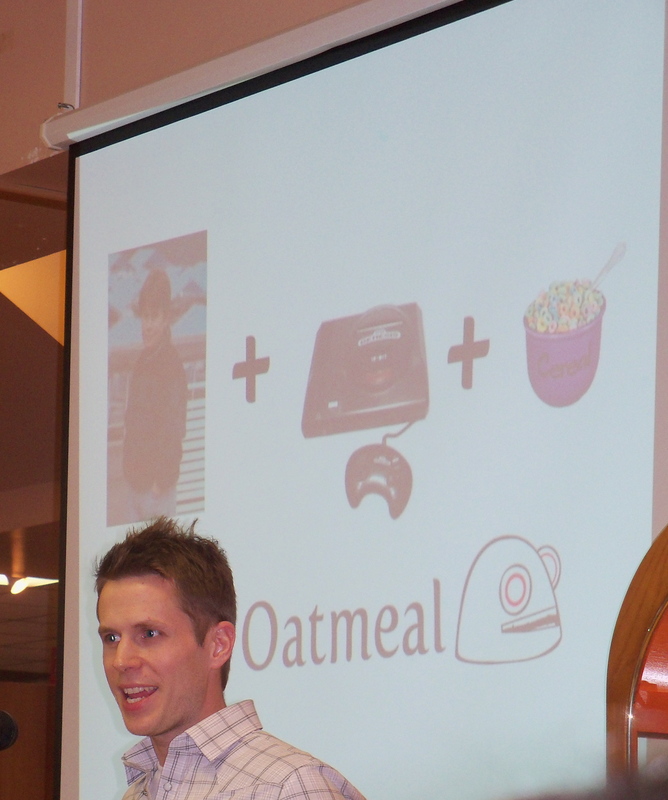 This is when I knew I was in the presence of an evil genius. I hope that none of these beautiful cakes were poisoned by the Count. In his charming new book, a dog serves cakes to a despondent bird in order to cheer him up. 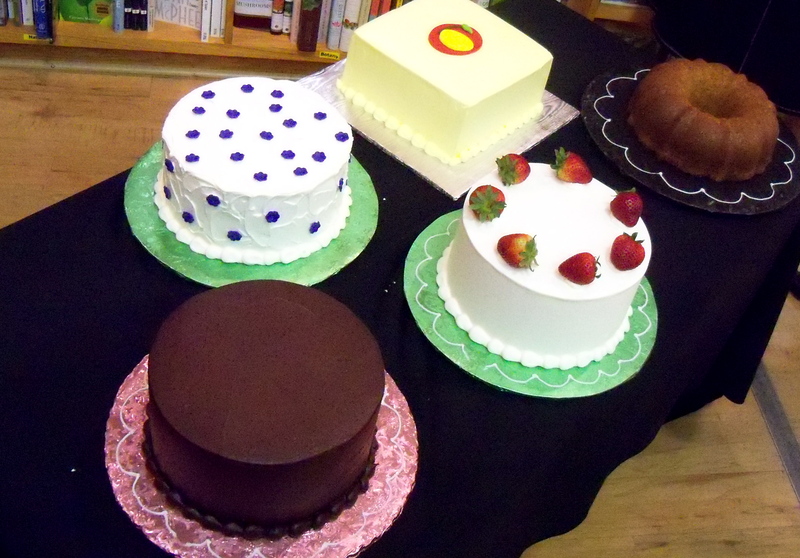 There were replicas of all the cakes at the signing, and everyone was served a piece after getting their books signed. I had a piece of the white one with the purple flowers. It was chocolate, and didn’t seem to be poisoned at all. In fact, it was delicious! I wish I could have recorded it. It was comedy gold. As someone who has a general disdain for children, I enjoyed this more than I should. (Of course, my friend’s kids are all wonderful, it’s just those other ones that are horrid little beasts.) 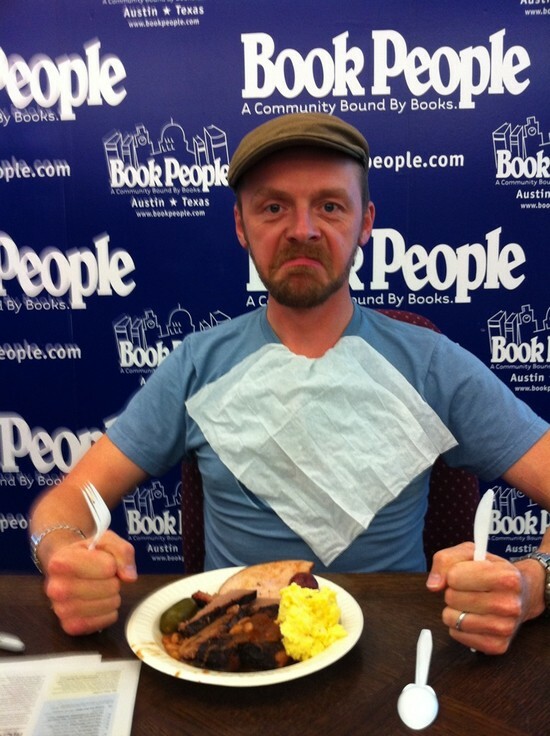 I’m surprised that none of the kids cried, but I guess they are used to this sort of thing if they read his books. If the 13th of the month rolls around and you have a chance to spend some time with Mr. Snicket and/or Mr. Handler, I highly recommend it. This entry was posted in Books and tagged 13 words, book people, cake, daniel handler, despondent, goths, lemony snicket on April 14, 2011 by mekkalekkah.